Zehra (EcoDesi) is a programmer by profession, environmentalist by nature. She believes that no effort is too small and everyone should think of this earth as a gift as opposed to a right. The EcoDesi mantra is that when we take into account the monetary cost of buying something then let us also look at the environmental cost. Aloha, EcoDesi here, having just returned from Hawaii. Yes, we returned from Hawaii yesterday where I enjoyed a much needed vacation with hubby. Returning was hard to do but had to be done and I find that the best way to beat the winter chill at this point is to remember the islands and share some of our adventures with you one island at a time. So starting at the beginning, the first island we visited was Oahu, next we went to Maui and last but not least we finished our stay in the lap of luxury at the St. Regis in Kauai. room looked out over a little courtyard where we had breakfast every morning. The courtyard was full of hibiscus plants, bougainvillea, and palm trees. Right next to the hotel were residences whose backyards I couldn’t help peek into and got a sense of what it’s like to live in Hawaii. It seemed heavenly. Every morning as I looked out from the balcony I would see kayakers row by on the Ala Wai drainage canal, while the warm sun warmed me and the birds chirped all around me. While enjoying the natural beauty of such a beautiful place I made sure that the EcoDesi mantra was upheld. So how did I do that? Well the car we rented to tour the island was a hybrid. More specifically a Toyota Prius. When we first picked it up at the airport it took a little figuring out but we were able to get it to start and drive it to the hotel. It was the first time either one of us had been in a Prius and what we discovered is that it was so quiet that at first we couldn’t even tell if it was on or not. The thing about hybrids is that they don’t have that traditional car sound. In fact, all you hear is a very low hum. So we drove it to the hotel and while giving it to the valet at the hotel we made sure he knew how to drive one. He assured us he did. Turns out that when the Nissan leaf came out (an electric car); Hawaii had the highest number of preorders per capita compared to the mainland. I guess when you‘re around natural beauty you’re more inclined to take steps to preserve it. By the end of our stay we had driven the car a total of 300 km and only used up ¼ of the gas tank. It turns out this car’s fuel consumption is a fifth of hubby’s BMW at home. And when we filled up the gas tank before returning the car it only cost us $15. So again we did something good for the earth and saved some money. The next time I have to rent a car I’m going to definitely ask for a hybrid. So all in all the EcoDesi hybrid experiment was a success and I would highly recommend everyone out there to give this car a spin. It is seriously worth checking out. Until next time. Mahalo and Aloha. scrubbing but the end results were well worth it because my cabinets are now so clean, they look almost brand new. The best part of the project was that I used only vinegar, water and baking soda. I didn’t have to smell any noxious fumes while I was doing back breaking labour, the house didn’t smell like a chemical factory during or after and I didn’t feel guilty about flushing badness down the drain. All in all, my little project was a HUGE success. Now my kitchen looks almost brand new, and I have become an expert at effectively using vinegar and baking soda to get the job done. I know I’m a nerd but what can I say, I’m a clean freak as well as being an environmentalist and that day the two worlds seemed to collide perfectly. In my quest to be eco-friendly little successes like this make me realize I’m on the right path and the tips and tricks I’m picking up along the way not only help mother earth but also help me save some money. So when I came across a 2011 promotional calendar which had eco-friendly cleaning tips I have to admit I got a bit excited and decided to share them with you just in case you want to try some out and make some positive changes. Water Saver: Today’s washing machines and detergents can clean clothes effectively in cold water allowing you to save energy and money. Filling your washer and dryer and even your dishwasher to its full capacity will also save energy. Weeds? Fill a spray bottle with undiluted, white vinegar. Spray he centre of each flower with the vinegar and again near the ground, soaking the roots. This will kill the weed and prevent it from growing back. Bathroom cleaning: Use undiluted lemon juice to dissolve soap scum and hard water deposits. Candle Wax: To remove old wax from glass candle holder, put it in the freezer for a few hors. Remove from freezer, turn upside down and the wax will fall out. If you try these tips and have some feedback, or if you have some more of your own please do share. Anyway until next time. Take care people. Yes, I know, I’ve been missing for a while and I want to apologize for my absence. Things have been topsy turvy in the EcoDesi world lately and it’s taking a while to recover. But time heals and after a lengthy absence I’ve been able to put pen to paper or rather fingers to keyboard and type up the next installment in the series. A recent encounter was particularly strange. I was shopping for meat at the local Halal meat store in Markham and the cashier who was scanning my items was young and seemed very interested in practicing the dying art of customer service. He asked me if I found everything to my liking and I assured him I had. Then I handed him my bags and asked him to use those instead of the plastic ones. His reaction was one of horror. As if I had come to his house and refused to have tea. He insisted that I should take at least one bag and wouldn’t let me leave without one. Our exchange started becoming a scene almost so I finally relented and accepted one plastic bag from him. The whole scene still plays in my mind and I’m still not sure why he was so insistent that I HAD to have a plastic bag. I’ve shopped at the South East Asian stores and since there is a bit of a language barrier there I thought I would have a hard time there too but, when I handed them my bags they just took them and started filling them up with my purchases. No confused looks, no questions. I guess they were used to people coming with their own bags or maybe they just thought I was strange but didn’t comment. Whatever the reason, I have come to the conclusion that South Asians are way behind in understanding the impact of plastic bags and the benefits of re-usage. On some level I think, it’s even looked down upon. So my conclusion is that even if it gets a bit awkward, let’s continue the fight because our actions, sooner or later, will make the use of re-usable bags the norm and plastic bags the exception. Even in South Asian stores. So this civic long weekend my husband and I along with his sister and her family decided to go to MarineLand in Niagara Falls. Actually I wanted to go to African Lion Safari but I was overruled so we ended up going to MarineLand. The trip started off pleasant enough as we took the back roads instead of the parking lot that is the QEW; passing little towns, vineyards, main streets, the lakeshore all the while fantasizing about leaving the city and settling down in the country when we both retire. We finally got to MarineLand at about 4:00pm (after leaving Markham at 11:00am) and it was packed. We found a parking spot 10mins away but I figured this was a sign that MarineLand was a happening place so it was probably a good choice. Boy was I wrong. First off the food in this place was nothing but greasy pizzas, burgers and hot dogs. Not a salad or healthy choice in sight. But again I figured that maybe they are catering to the American palate and thus the food is what it is. So I decided to overlook that as well. After eating the greasy cheese pizza (they didn’t even have veggie pizza option) we made our way to see the animals. First stop was the deer enclosure. (Yes I know what you’re thinking. Why are there deer in Marineland? I have a theory about that which I’ll come to later.) The attraction of seeing the deer was that you could feed the deer yourself and since we had a little one with us we thought it would be a good idea. So we entered the enclosure which was basically barren grounds with no tree or even a blade of grass in sight and the first thing I see are a herd of deer being chased by a pack of human children followed by their parents. No parks person in sight. It was like the deer were running for their lives. A few weak ones were standing by the side of the enclosure and children were trying to feed them the pellets that they were supposed to eat but they didn’t seem very interested in them, they just looked scared. Again no parks person was there to monitor the people or to make sure that the animals were not being mistreated. My husband noticed some of the children were petting the animals very hard and some were even pulling their ears. Another thing that struck me was how hot that day was and the sun was beating down on us like crazy and yet there was no shade or water for these animals anywhere. After witnessing the depressing state of the deer we went to see the orcas. I expected the parks people to give us some information about the killer whales or even tell us the name of the whale we were seeing. But, all the trainer did was make the animal splash the audience with its tail and that was it. No educational value just a few cheap thrills and a bunch of crying toddlers. Next, we caught sight of some bears floating about in the dirtiest water I have ever seen. I even saw feces floating on the surface of the water. And right next to me some guy was throwing crackers in the water and the bears were greedily eating it up. Again, no parks person in sight to keep this jackass from feeding the bear crap. So what do bears and deer have to do with MarineLand? Well my husband’s theory is that bears and deer are cheaper than marine animals and their enclosures cover a lot of ground and so this way the owners of MarineLand can keep people entertained without spending a lot of money and capitalism wins again. Today I filed a complaint against MarineLand with the Niagara Falls SPCA http://www.nfhs.ca/. If you have visited MarineLand and feel the same way that I do then I encourage you to please call them and file a complaint as well. These animals deserve better treatment then they are getting right now. And if you are planning on going there then trust me when I say please find somewhere else to go. MarineLand is just a money making scheme and there is nothing worth seeing here. Let me know what you think. Until next time, take care. Anyway back to the topic of the day. Makeup! I’m one of those lucky girls who can get makeup for free because of my sister-in-laws (SILs). One works for MAC (grab bags baby) and the other is a fantastic make-up artist on the side (www.perfectglow.ca). You would think that based on this I would be some kind of an expert but no, that’s not the case. I am more into natural skin care which is about nourishing the skin, rather than make-up which is more about enhancing your natural beauty. So my routine has been washing my face with besan (gram flour/chickpea flour: I know it’s a weird thing but it acts like a natural everyday exfoliant), spot treatment with tea tree oil and then moisturizing with JoJoba oil. All these things are very natural with no man made ingredients and the packaging is recyclable and/or biodegradable so I always considered myself covered. However, my makeup routine consisted of MAC foundation, and a lip gloss or a lip stick. Not really the most natural of products and the packaging is not that eco friendly either but I never took the time to find an alternative. So the other night my SIL’s were visiting and we all happened to be in one room together without any men around (which is rare) and the conversation took a turn towards makeup and my blog. And that’s when they told me about all these makeup companies that specifically cater towards the earth friendly green trend that is so important to me. To be honest I had known about these companies before but I always thought that to cater to a trend sometimes companies just release a green line or so but, to find out that these companies participate in environmentally conscious behaviour on a corporate level for all products made me feel all warm inside and made me actually want to check them out. So here are the companies that I am most impressed by based on my conversations and my own online searching. They care about what goes in the product, how much energy is used in making the product, the sustainability of the ingredients they are using, the packaging of the product. This company is an environmentalists dream based on what I’ve read and heard about it. Another company that cares about the ingredients and the packaging and by 2020 they plan on becoming the "greenest personal care company on earth." By then, they plan on being carbon free, operating on 100 percent renewable energy, none of their waste being deposited in landfills and much more. An honorable mention goes to Bare Essentials because their Bare Minerals line is makeup with good natural ingredients. They even have a video on their website comparing the effect of their makeup on a flower compared to other brands. But they don’t go on the wall of fame because based on my conversation with the customer service rep their jars are not recyclable. Which is a bummer because I really wanted to try out their foundations. I guess this means that I will have to email the owner of the company and demand eco-friendly packaging. Oh well, the fight continues. But before I sign off I want to make it clear that just because these companies use natural and/or organic ingredients doesn’t mean that these products will work for everyone so keep an open mind but always question. Until next time. Take care people. As I write this I’m outside enjoying the warm summer that we’re having which is a nice change from the chilly summer we had last year. I suspect the warm temperatures might have something to do with global warming (note to self: read up on this) but I have to admit I’m enjoying and loving every minute of it. I’ve encountered a few people who like the cold months more than the warm ones, but they were few and far between and none of them were South Asians. We, South Asians, don’t usually go out and sun bathe (we obviously don’t need to get any more chocolatier) but we still get out and enjoy the balmy temperatures. Just take a stroll down Gerard street on a warm summer night and you’ll see the bhutas being grilled on the sidewalk, you’ll smell the charcoal and tandoori chicken in the air, you’ll hear the chatter of people strolling down the street with all their kids in tow and the music from the latest Bollywood hit blasting from the shops. Everywhere you look the patios will be full of people eating and talking and soaking in the warmth. Which brings me to my topic of the day. Air Conditioner usage. Why is it that as soon as summer comes people, on the one hand, try to get out every chance they get, and on the other hand crank up their air conditioners when they are at home or in the office? Whenever I wear my capris and short-sleeve tops, I have to put on a cardigan as soon as I step into the office so that I don’t catch a cold. It’s ridiculous. What’s wrong with feeling a little warm people? I personally prefer to be warm then cold so we only turned on our AC a handful of times this summer, most of the time we used pedestal fans. And when we did turn on the AC I kept the temperature mostly at 25-27 degrees Celsius (based on www.GreenYour.com the ideal temperature at which most of us feel comfortable is 25.5 degrees Celsius) and we turned it off whenever there was no one in the home. To be honest I’m double minded about AC’s. I personally feel claustrophobic when the house is all sealed up and the AC is running. But I would not get rid of it completely because even though I love warm temperatures I can’t sleep when I’m hot and though pedestal fans work great, AC’s are better at combating the humidity factor when the day or night is hot and muggy. You know it would be great if AC’s worked on solar power. That way if it was hot outside we could cool our houses/offices down and not have to feel guilty about it (note to self: look into this as well.). So what is the official word on Air Conditioners by the Environmental experts? Well, other than the obvious energy consumption issue, the refrigerant used in the coils of the air conditioners that transfer heat from the house is also a primary concern. According to Toolbase.org the gas used as a refrigerant can escape into the atmosphere through a leak or during service and since these gases can have negative environmental results ranging from ozone depletion and green house gas affect the earth loses yet again. So how do we prevent this from happening? Well get the air conditioner checked regularly to make sure it’s not leaking and if you are looking to replace your unit get one that uses less energy (use the number on the EnerGuide label to guide you) and that does not use CFC or HCFC refrigerants. So the past week was a busy one. Ok so it wasn't that busy but I like to say that so that people don't think of me as some kind of nerd who only thinks about recycling 24/7. Anyway what I have been researching in between work assignment is what the recycling symbols with the numbers mean. Everyone should know what the recycle symbol looks like. However, on recyclable plastic items symbols have numbers within the loop ranging from 1 to 7. And I was always unsure as to what they meant. My sister-in-law who is a chemical engineer told me once that plastic products/packaging that has certain codes could be recycled and others couldn’t be. I was blown away by this but when I asked her to clarify what that meant she changed the subject. Typical SIL behavior, change the subject when you don’t know the answer. But it still left me curious so here is what my research turned up. He also suggested using the search engine found at the website which I noticed is present at all waste disposal websites. In this search engine you type in the type of product you want to dispose and it will tell you whether to put it in the blue box, garbage or the waste disposal depots that are found all over the Ontario. So I hope my research was useful. I tried to make is as simple as possible because sometimes it gets overwhelming and god knows we have enough things to worry about. But at least this way we can make a note of what kind of products we usually buy and keep in the back of our mind what goes where when we dispose of it. I have noticed that when items are sorted correctly, the quantity of overall garbage reduces significantly and that always gives me a warm feeling as if I just saved the whole world by myself. I know, I’m an optimist. But let me tell you, it’s better than being a cynic and doing nothing. In my opinion Reducing and Reusing is probably the hardest thing to do especially in our disposable obsessed society, where buy, buy, buy is the mantra. But I think I’ve discovered a really clever way in which we can practice REUSE. I think I first read about it on Oprah’s website but I can’t find it there anymore. So you will just have to take my word on that. But it is this fabulous on-line community that calls itself The Freecycle Network. Freecycle makes a play on the word recycle. But by definition we know recycling means the breaking down of items and making use of the raw materials we extract to make something new. In contrast to this if you freecycle something you are actually re-gifting something that you don’t use to someone who will make good use of it. To date I have re-gifted quite a few things. Just remembering these old items that I’ve given to people gives me a lump in my throat. Not because I think I did something exceptional by giving them something that I wasn’t using but more because they were so happy and grateful for it. And I in turn have gotten a few things from generous people such as Lilly buds, maple saplings but since I’m all about practicing the art of reducing these days and trying to buy less and consume less this has been more about re-gifting for me than taking. Now don’t get me wrong. There is a bit of work involved. If you want to give something away you have to post a message and that message has to follow a certain format which is approved by the moderators of that group before it goes on the board. Then if someone likes it they email you and you have to set up a pickup date, time and place. You can pre-arrange to leave things on the porch or garage so if you are not home you can tell them to come by and pick them up. It is definitely easier to throw things in the garbage but trust me the feeling of giving it to someone who you know will make good use of it is far more rewarding. So I recently bought a laptop. And in order to be green (and save a few bucks) I decided to buy a slightly used one. I found a shop close to my home that calls itself a computers and electronics outlet. I just walked in and started asking questions. This was my first experience in buying a laptop so I wasn’t sure what I needed but the sales guys were very helpful. It turns out that the store leases their machines to small to medium sized businesses in the area and when the lease is done, they then sell those machines to the general public. And I loved it. Not only was I getting a top of the line machine at a cheap price (I confirmed this with the IT guy at my work) but I was also implementing one of the Three R’s of the Environmentalist’s mantra: Reuse. • Buying long lasting things with the least amount of packaging. This way we throw away less of what we buy. In my opinion, Reducing and Recyling are the hardest for us North Americans to do because our society and economy tells us to buy, buy, and buy. But if we put a little effort into it we can change our buying habits, have less impact on the earth and save a few bucks along the way. RECYCLE: As defined in Wikipedia, Recycling is the breaking down of a used item into raw materials which are used to make new items. This is also a noble thing because it means less extraction of materials from the earth but the reason why it is not rated highly is because implementing this takes up a lot of energy in breaking down the items and making new things. 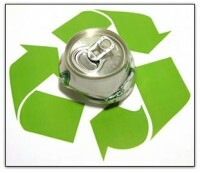 For a list of items that can and cannot be recycled please see my earlier post. So I am happy to say that my laptop is working well and I’m happily typing away right now. It was truly a great buy and it makes me think that the next time I’m in the market to buy something I’ll definitely check out the slightly used options before I look at the brand new options. Hello, EcoDesi here. That’s right, EcoDesi. It is an individual having ties to the Indo-subcontinent who has decided to incorporate being green into his/her lifestyle. So for now it’s just me but if you’re cool enough I’ll include you in my club too. I know creepy right. On a serious note, what I want to do is incorporate a greener way of living into my lifestyle and see where it leads me. I’m going to use this forum to share my observations and any tips that I pick up along the way and hopefully inspire others to be EcoDesis as well. I’m already living greener than most people by carrying reusable bags every time I go grocery shopping and being vigilant about recycling paper products and anything with the recyclable label. But I consider these minor steps, I want to do more and truly understand why doing things a certain way can help the environment while the other way can impact it negatively. And in the process I want it to become second nature to me. And I’m not doing it because I’m some long-haired, hippy, living off the earth, never shave my arm-pits type of girl. I’m really very hip and urban. Really I am. My reason for living greener is first because the planet is dying (and I’m sure everyone agrees with me on that unless you are an ostrich with your head buried in the sand) and secondly there are all these unexpected benefits that come with living greener that it’s a wonder nobody did it sooner. But of course not everyone thinks this way. I’ve noticed that my friends and, especially the desi community isn’t really big on this idea of living green. Even with all the data out there and our ever warmer climate very few people take this issue seriously, much less do anything about it. And when I probe why, the reasons given vary from I didn’t think about it to it’s not a cool thing to do. For example, just a few days ago I accompanied my smoker work friends for a smoke break. The weather was nice and I felt like going outside and shooting the breeze (while standing upwind so as not to get their second-hand lung cancer causing smoke). So as we made our way down they decided to get some coffee from the café in our building. As we stood in line I asked them why they didn’t bring down their travel coffee mugs that we all got when we joined the company. And nobody really had an answer until one girl said that it was cooler to have the paper cups with the logo on them as opposed to the travel mugs. She said it half jokingly but I think there was some truth to that. Her answer kind of surprised me. I had never thought of those paper cups as a status symbol but then I don’t spend that much time thinking about status symbols so that might be just me. So it got me thinking and I would be really interested in knowing why people don’t take the environment issue as seriously as I do. Is it because we don’t think the issue is real? Is it because thinking about the environment is inconvenient in our busy yuppie lives? Is it because we think that doing anything will be very insignificant so why bother? Let me know your thoughts. I am very curious to know.